I’m a self-professed geek which means I geek out over a lot of things like video games, comic books, and TV shows. So of course when you combine makeup and any of my geeky interests, I get ridiculously excited. I actually had a bit of a throwback moment when I found out that Bench’s cosmetics line, Paint Box, in collaboration with DC comics, released a whole variety of makeup products featuring none other than the symbol of female empowerment herself: Wonder Woman! Why a throwback moment you ask? Well if you remember the Wonder Woman Colour collection MAC released back in 2011, you’ll know why! This Paint Box line looks very similar to MAC’s own collection but with more simplified packaging and at more affordable prices. Product info: Be the super woman that you are. 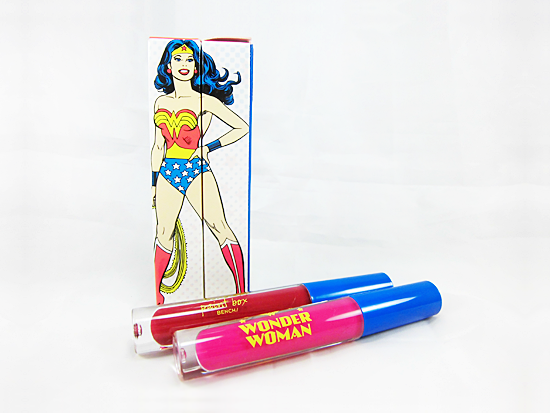 Nourish your kissable and powerful lips with this DC Comics offering from Paint box. Like I said, the packaging of this collection is more simple compared to MAC’s. As expected they stuck to the traditional Wonder Woman color scheme and all the products feature a combination of blues, reds, and yellows. 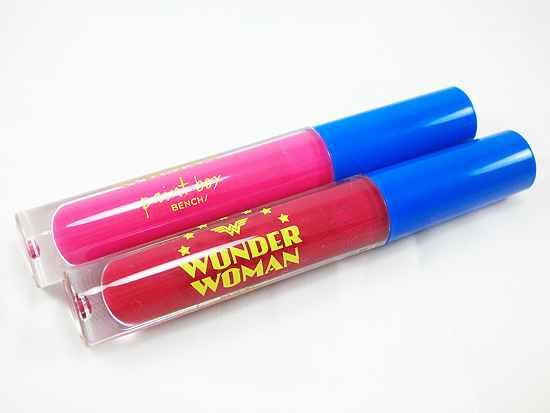 The lip glosses themselves are packaged in more or less ordinary looking, but sturdy, tubes with the Wonder Woman logo stamped on one side and the Bench Paint Box on the other. The boxes of the lip glosses are uniquely and interestingly designed because if you align three boxes, you’ll get a full illustration of Wonder Woman. I can make an almost complete one with two of mine as shown in the first picture. If I’m remembering correctly, there are only five shades total for the lip glosses. It’s quite limited, but then again this isn’t exactly a big collection. I wasn’t sure at first what shades to go for, but I decided to go with a bright, cool-toned pink, which is “Smash!”, and a classic looking red, which is “Pow!”. Don’t you love how fun the shade names are? Oh and interesting note, these were actually produced in Italy! How about that? You’d think these would make the products more expensive, but they’re still really affordable. 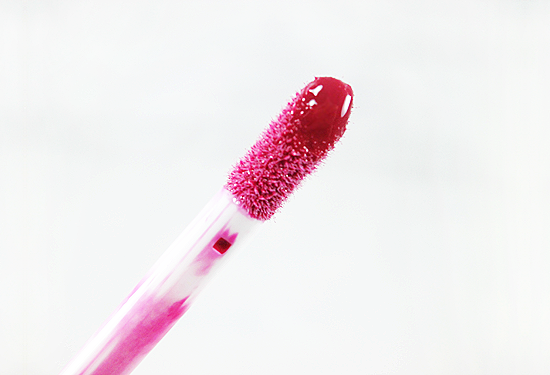 All the lip glosses have a soft, standard doe foot applicator which I like. I prefer the ones with a more pointed tip, but I’m not complaining! 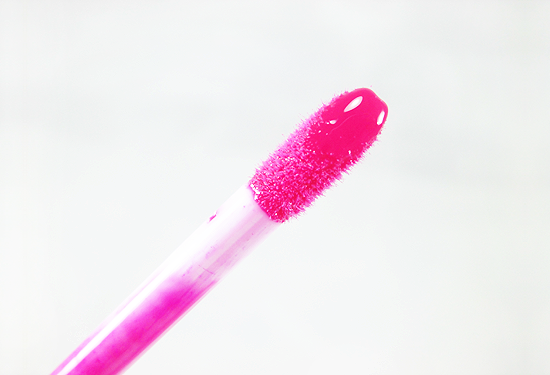 Unlike your average lipgloss, these aren’t that sticky at all. I don’t constantly find my lips sticking together whenever I open and close my mouth and even the occasional stray hair provoked by a gust of wind doesn’t cling onto my lips that much. They don’t have a weird, plasticky scent too! Not too bad, eh? 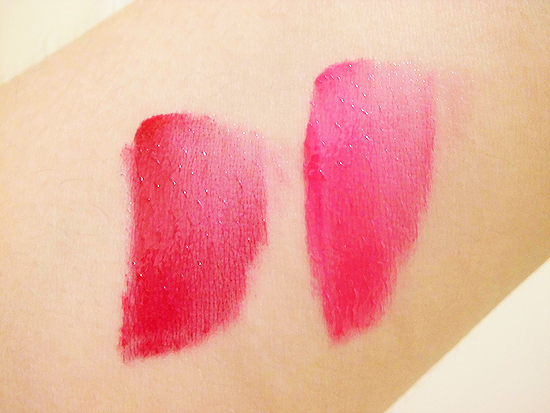 Out of the two, I find Smash the prettier shade overall and I think it compliments my skin tone nicely. I really like Pow as well, but I was a little disappointed because I thought it would be more opaque and appear sort of like a red, liquid lipstick. Especially if I layered it on. Instead it looks sort of like they combined a little bit of a red lip tint with a clear lip gloss. 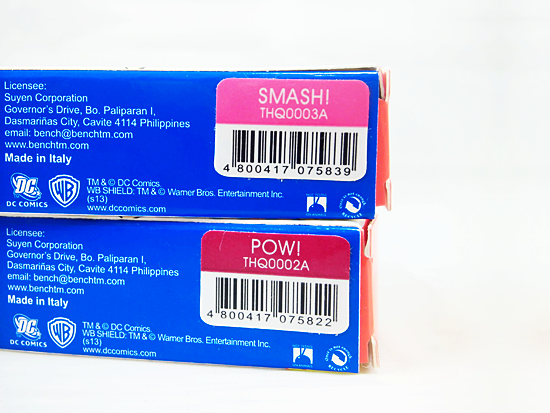 Speaking of tints, both shades do tint the lips, but Pow does it more visibly than Smash. Once Smash starts to fade, it pretty much just ends up disappearing almost entirely. Pow, on the other hand, leaves a light, reddish tint for a while before disappearing the same way. So I’m sure you’ve guessed by now that staying power for both glosses isn’t too great. It’ll remain mostly intact with light snacking and drinking, but it really won’t survive a proper meal. With the product description saying “nourishing”, I was expecting these glosses to also be moisturizing. They’re not drying, but they’re not particularly moisturizing either. You’ll still need to make sure to exfoliate and moisturize your lips properly with some balm first because they, especially Pow, can emphasize any flakes and dry patches by clinging onto or around them. Overall these are fairly good lip glosses, especially for their price. They’re not amazing or stand-outs of any kind compared to a lot of other glosses, but they’re not bad either. I would say one of the best features is the fact that the formula is not that sticky. I just don’t recommend them if you don’t like retouching often like I do because of their lack of proper staying power. 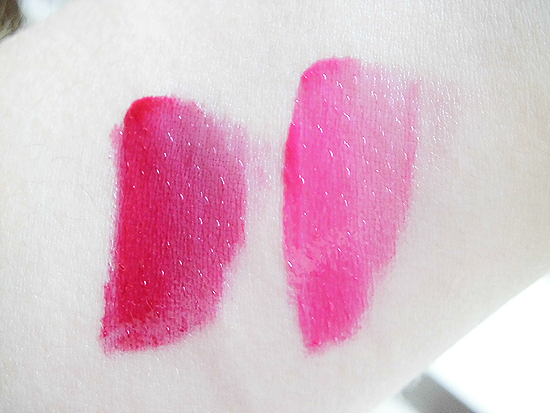 However, they’re worth a try if you’re not fussy with lip glosses in general. This would also make a nice Christmas gift for any girly, fellow comic geeks in your life too, yourself included! The formula isn’t very sticky. Not drying on the lips. No weird, plasticky smell that’s common in many lip glosses. It leaves a light tint on the lips, but even that disappears eventually. Can emphasize any flakes or dry patches.